Track “bundle” deal for one week only! 6 unpackaged C8206 Radius 2 45-degree curve sections. New stock. 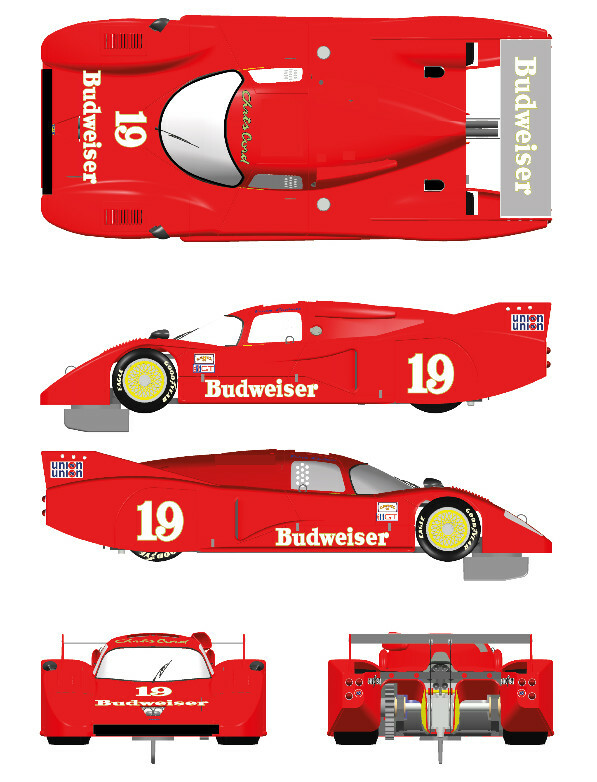 1/32 scale slot car, due 2014. Digital plug ready. Accepts C8515 plug-in digital chip. 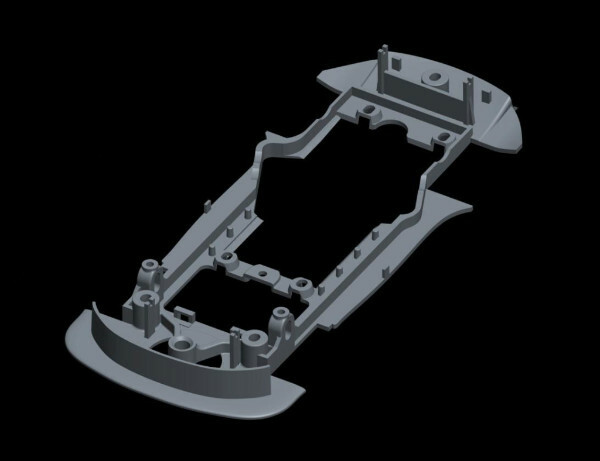 Scalextric C8536 PCR Underpan BMW Z4 for C3624 and C3625. 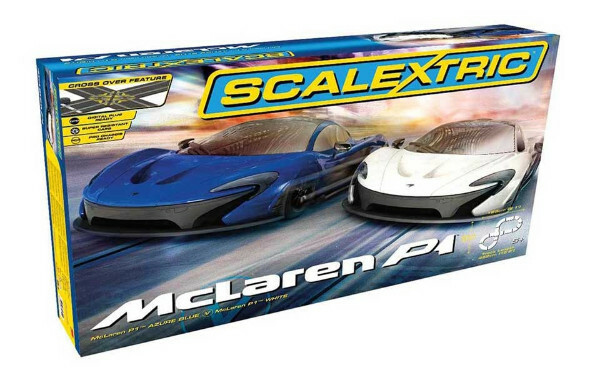 Scalextric C8533 PCR Underpan McLaren P1 for C3643 and C3644. Two of the most popular paint schemes on quick SRC cars. SRC 01711 Lola T600 Mosport 1971 “Budweiser” no. 19, driven by Chris Cord and Jim Adams. 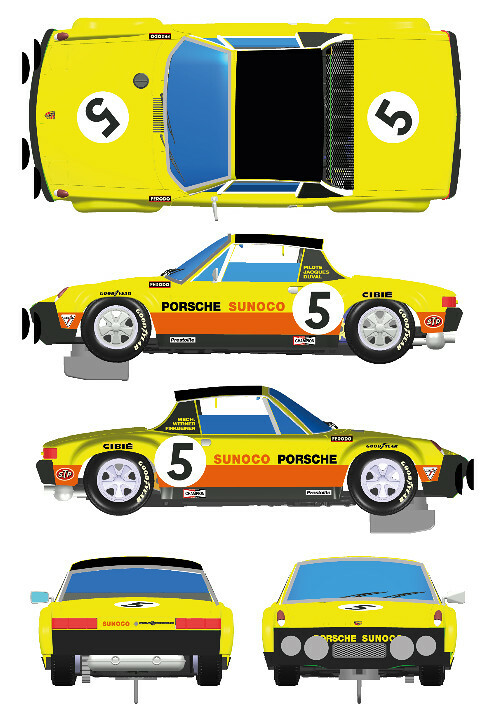 SRC 01602 Porsche 914/6 GT “Sunoco” yellow no. 5 1971 24h Daytona, driven by Jacques Duval, Bob Bailey and George Nicholas. 1971 Joe Chamberlain raced his ’69 Trans-Am Camaro then sold the car to Kiwi Ian Rorison for Dennis Marwood to drive throughout the remainder of the series. Ian Rorison was the man responsible for the Camaro’s arrival in NZ in late 1970. The driver was Joe Chamberlain, his privately run ’69 TransAm Camaro, car and driver combination had run in the West Coast TransAm races during 1969 and 1970. Chamberlain competed with the Camaro at the Bay Park International New Year Meeting, New Zealand in late December 1970 then at the NZ Grand Prix meeting a week later at Pukekohe, before Rorison made a successful offer for the orange Camaro. Seasoned racing driver Dennis ‘Marbles’ Marwood took the hot seat and was a front-runner for two seasons (1970-72). Marwood leased the car from Rorison for a second season (1971-72) finishing third in the title chase. Marwood’s swansong with the Camaro came with a great run at Warwick Farm at the second round of the Australia versus NZ big saloon test match in August 1972 with a fine secnd place. The Camaro then appeared in the 1973-’74 season, now in the hands of crowd favourite, Johnny Riley. During the cars restoration, Tony sanded down the old panels and the previous racing numbers were revealed — John Riley #50, Dennis Marwood #25 and 24 and Joe Chamberlain #2. Scalextric C3597 F1 2014 Season Generic Car 1. Plain upainted white with self-adhesive markings. A rugged formula racer ideal for the junior racer. A 2014 era Formula 1 car (in a generic livery), so you can race five different cars with the two Scalextric Mercedes 2014 F1 and two Scalextric McLaren F1 cars. The Spa 24 Hours is one of the most gruelling races on the motor sport calendar. At Spa on the July 29, 2012 the number 89 Aston Martin V12 Vantage GT3 campaigned by GPR Racing (B) and driven by Tim Verbergt (B), Ronnie Latinne (B), Damien Dupont (B) and Bertrand Baguette (B) achieved a 16th place in the Pro-Am class. 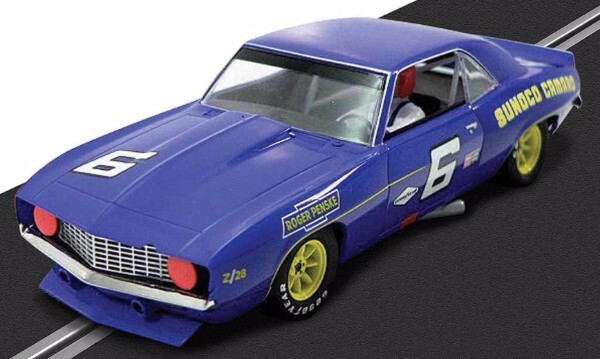 1969 Sunoco Camaro #6 – Driven by Mark Donohue and Milt Minter. The Penske-Sunoco Z28 is a very hard car to miss, as decals from both sponsors are brightly-coloured and adorn the car throughout. The story behind this Trans-Am race car is that it took first place at Michigan International, Bridgehampton, Bryar Motorsports Park, Mont-Tremblant, Watkins Glen, Laguna Seca, Sears Point and Riverside during the 1969 racing season. Mark Donohue and the Penske Camaro Z28 won six out of twelve races to win for the Camaro a manufacturers’ championship. This Scalextric 1969 Camaro has the newest Digital Plug Ready (DPR) chassis for plug-in installation of the C8515 Digital Plug to allow it be raced on Scalextric Digital or any brand of analog track. 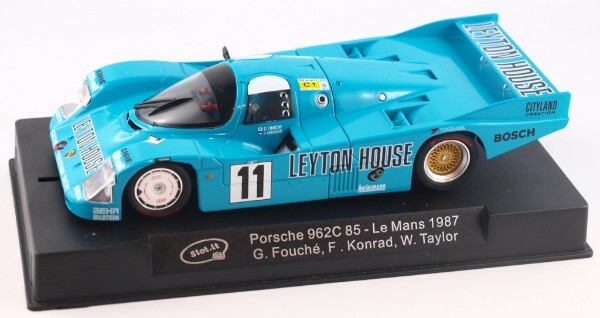 Slot.it SICA34A Porsche 962C 85 LeMans 1987 Fourth “Leyton House” , G Fouche, F. Konrad, W. Taylor. Capable of reaching incredible top speeds of well over 350 km/h this iconically shaped Ford 3L GT designed by Len Baily was built as a result of the displacement limit rule change of 1967 by the FIA. First appeared at Brands Hatch, Kent 1968. Static model car kit that can be converted into a slot car body. Kit includes glue, paint and paint brush and makes a good gift item for the beginning model builder. 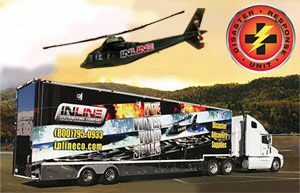 It also makes a good addition to the scenery on your 1/32 scale slot car layout. Need a chassis for this body? 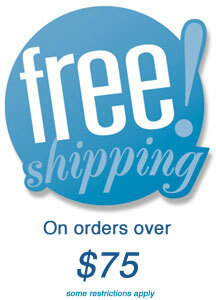 See all the available universal chassis HERE. 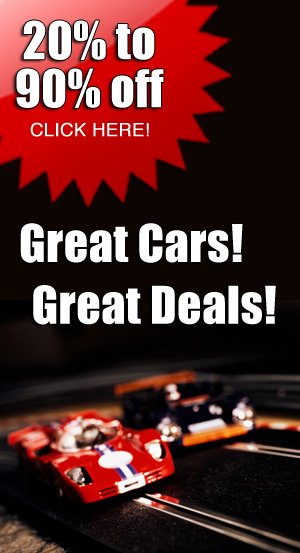 In that category you will find a variety of chassis manufactured for the purpose of building complete cars from body kits. We have tried to include in the product page for each chassis as much manufacturer’s information as possible, but this is often somewhat scant. In general, your best option is to select a chassis with adjustable wheelbase so you can simply set the wheelbase to fit the body. Also, the narrower the chassis, the wider the wheels and tires you will be able to fit under any given body. Scalextric C1342T McLaren P1 Supercar set. Two of the most excitign supercars, the McLaren P1s, race head-to-head on a figure 8 track. 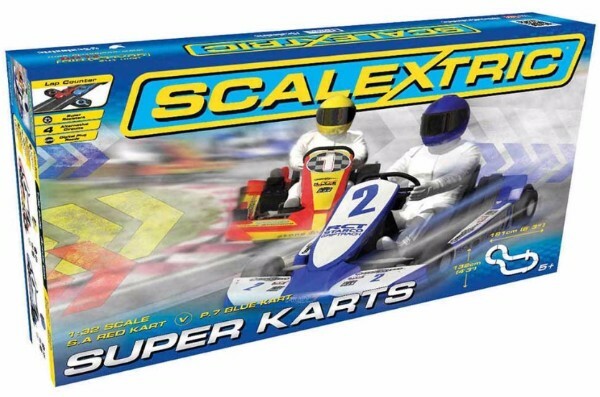 The cars are the rugged Scalextric Super-Resistant designs that are ideal for beginners. NOTE: The two cars (like the C3643 and C3644 McLarens) are designed so the chassis can be replacaed with the PCR chassis and Slot.it expert racing motors and drive trains. 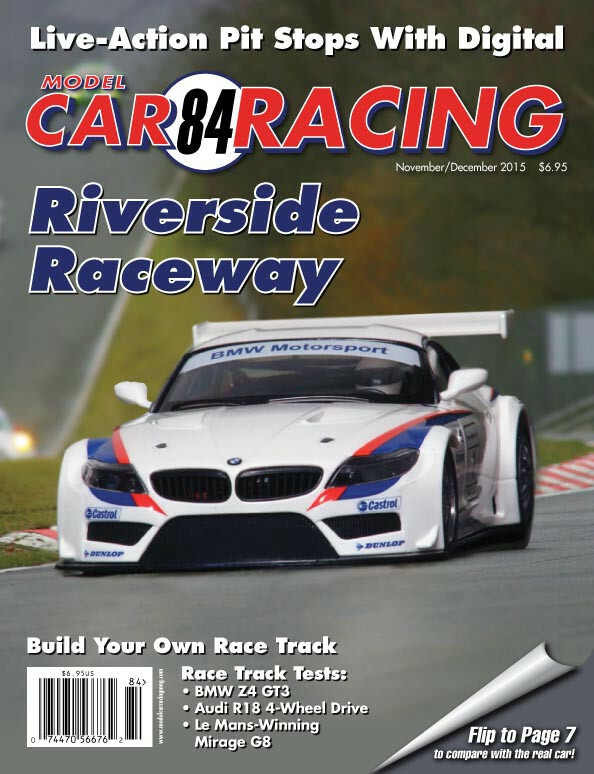 MCR84 Model Car Racing magazine November/December 2015—PRE-ORDER NOW! There’s a full technical analysis of the new Slot.it one-way ball bearing front wheels with Test Results that show they allow most cars to turn faster lap times and a full Race Track Test of the Slot.it Audi R18 in both four-wheel drive and with just the rear wheels driven so you can compare the speeds that are possible with the two systems. For digital racetracks, there’s an article that explains how you can assemble operating pit lanes to accommodate up to six cars at a time. 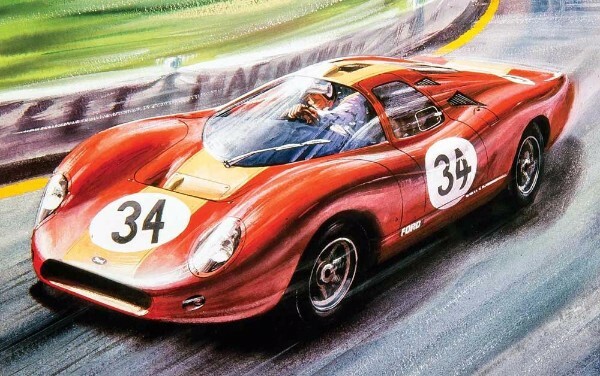 Full reports on the prototypes’ racing background, specifications and the performance and details of the 1/32 scale models of the 1952 Ferrari 212 Barchetta, 1969 Brabham BT26A-3 Formula 1, 1975 Mirage G8 LeMans, 2010 BMW Z4 GT3 and 2013 Audi R18 e-tron quattro and the 1969 Formula 1 Grid with the cars that are available in 1/32 scale are featured in this issue. There are step-by-step techniques you can use to cut slots for your own tabletop racetrack in MDF board. 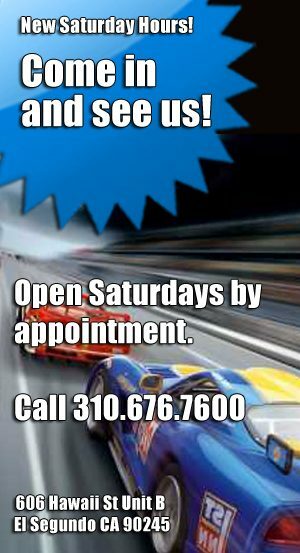 That’s how Gary Knabe’s built his 3-lane 12 x 18-foot wood Riverside Raceway with option of all three courses. 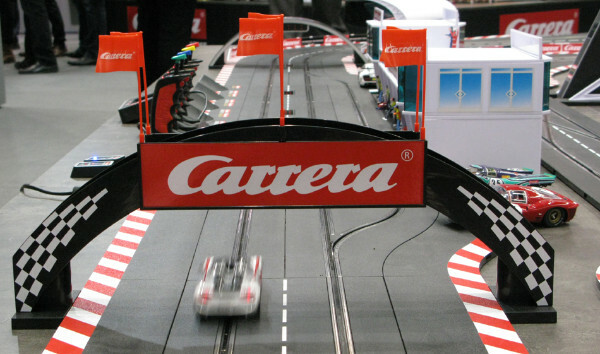 There are plans so you can assemble a 2-Lane Mugello Circuit for Scalextric Sport, Classic, SCX, Ninco, Carrera (with optional lane-changing) on a 13 x 23-foot tabletop with Live Action Pit Stops using snap-together plastic track or a more compact version for a single 4 x 8-foot tabletop. 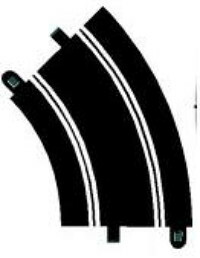 There is also a race track plan for an HO scale AFX 4-Lane Mugello Circuit for 4 x 8-feet and tips on how to use 9-inch radius curves for an HO 4-lane track. A limited run of the wild Alfa Romeo BAT7 is coming later this year! 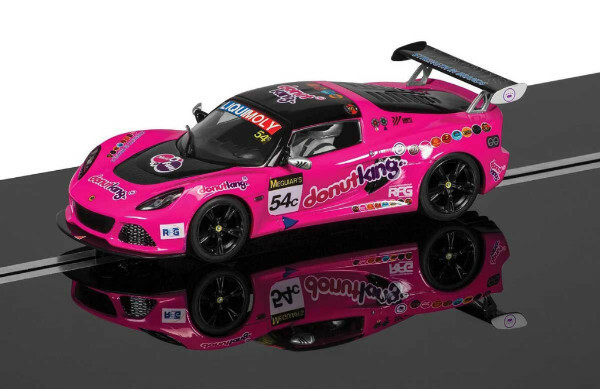 This is one of the most collectible models ever so please get your pre-order in. 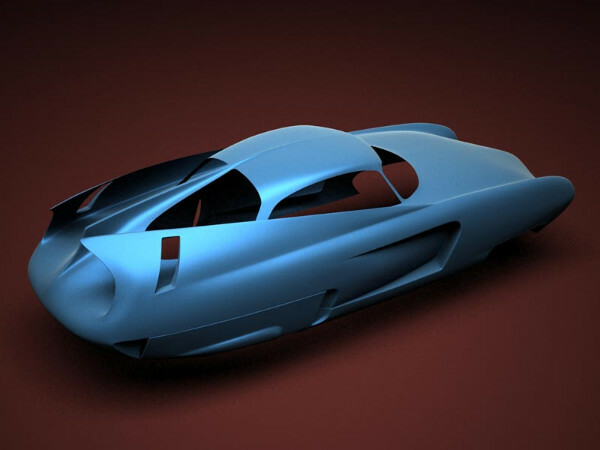 MMK68A Alfa Romeo B.A.T. 7 red, #66 racing ready to race. Only 75 produced—PRE-ORDER NOW! MMK68A Alfa Romeo B.A.T. 7 red, #66 racing ready to race. Only 75 produced.The 1954 Alfa Romeo B.A.T. 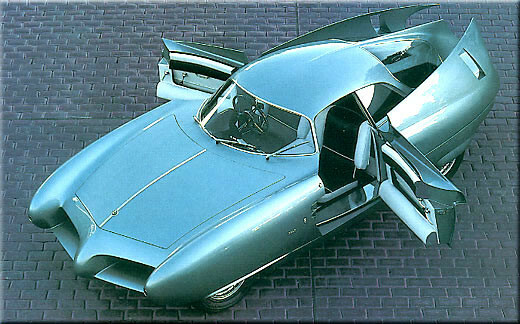 7 (Berlinetta Aerodinamica Tecnica 7) is one of the most famous show cars from the fifties. Just one car was built by Bertone on the Alfa 1900 Sprint mechanics.Cast-resin body with cast and etched detail parts, hand-assembled, painted and decaled. Ready to race. Made in France. MMK68B Alfa Romeo B.A.T. 7 blue street car ready to race. Only 75 produced—PRE-ORDER NOW! 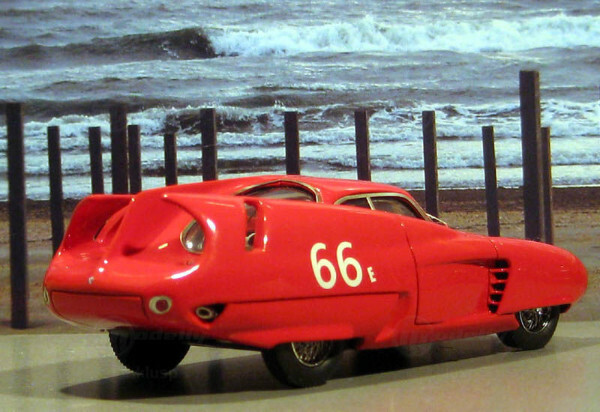 MMK68B Alfa Romeo B.A.T. 7 blue street car ready to race. Only 75 produced.The 1954 Alfa Romeo B.A.T. 7 (Berlinetta Aerodinamica Tecnica 7) is one of the most famous show cars from the fifties. 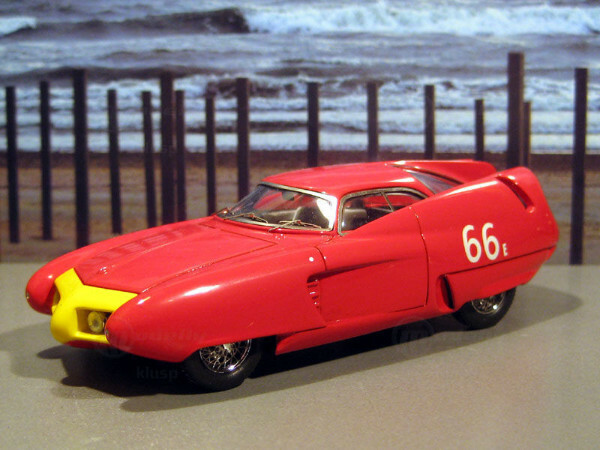 Just one car was built by Bertone on the Alfa 1900 Sprint mechanics.The model is a pre-production unpainted example. The models will be painted to match the full-size car. MMK68AK Alfa Romeo B.A.T. 7 red, #66 racing painted body kit. Only 75 produced—PRE-ORDER NOW! MMK68AK Alfa Romeo B.A.T. 7 red, #66 racing painted body kit. Only 75 produced.The 1954 Alfa Romeo B.A.T. 7 (Berlinetta Aerodinamica Tecnica 7) is one of the most famous show cars from the fifties. Just one car was built by Bertone on the Alfa 1900 Sprint mechanics.Cast-resin painted body with cast and etched detail parts, and decals. Made in France. MMK68BK Alfa Romeo B.A.T. 7 blue street car painted body kit. Only 75 produced—PRE-ORDER NOW! MMK68BK Alfa Romeo B.A.T. 7 blue street car painted body kit. Only 75 produced.The 1954 Alfa Romeo B.A.T. 7 (Berlinetta Aerodinamica Tecnica 7) is one of the most famous show cars from the fifties. Just one car was built by Bertone on the Alfa 1900 Sprint mechanics.Cast-resin painted body with cast and etched detail parts, and decals. Made in France. This is a body KIT—the the photo is an assembled model. The model is a pre-production unpainted example. 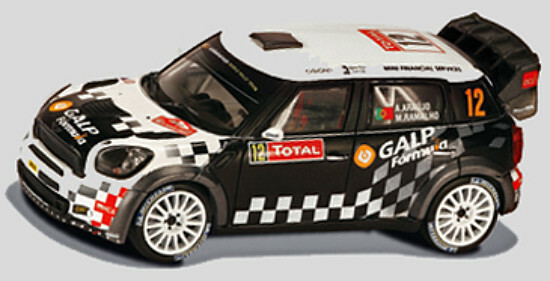 The models will be painted to match the full-size car. C3600 Lotus Exige V6 Cup R GT3 Bathurst 12 Hour 2014, drivers A, Alford, P. Leemhuis and M. O’ Connel.With a packed grid of 42 cars, the Donut King Lotus Exige V6 Cup R took on the Mount Panorama circuit for the Liqui-Moly Bathurst 12 hour. After an action packed 204 laps, the Donut King Lotus emerged as one of the only vehicles to survive the punishing race in what were extreme temperatures. 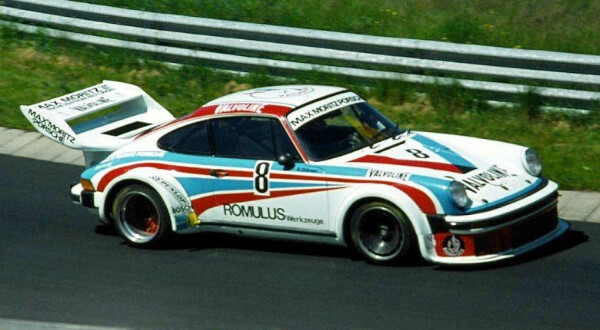 The Class C winning car has one of the most striking and un-missable liveries of all the race cars that took part in race at the famous Bathurst circuit in Australia. 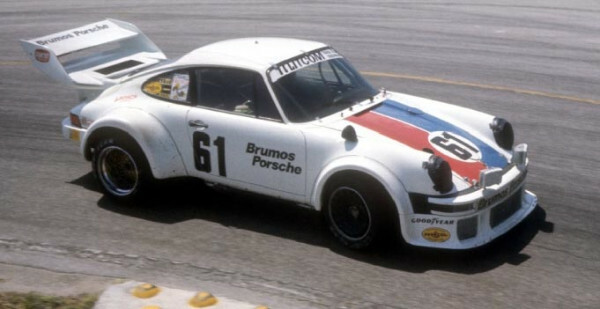 Fly (Slotwings) WO65-01 Porsche 934/5 Sebring 12 hour 1977 3rd, #61 drivers Jim Busby and Peter Gregg. 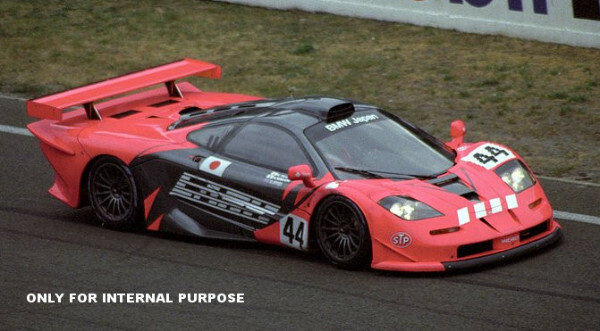 Slot it SICA10I McLaren F1 GTR n.44 ‘LARK’—PRE-ORDER NOW!!! 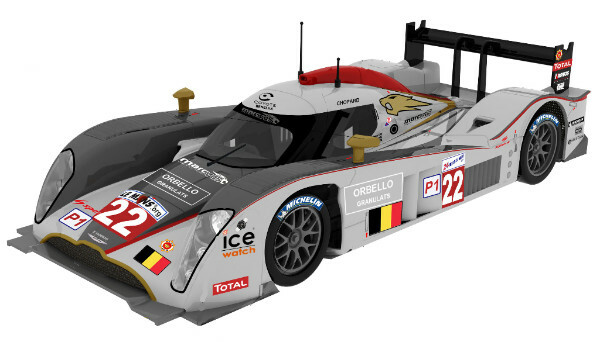 SICA31B Lola Aston Martin DBR1-2—PRE-ORDER NOW!!! 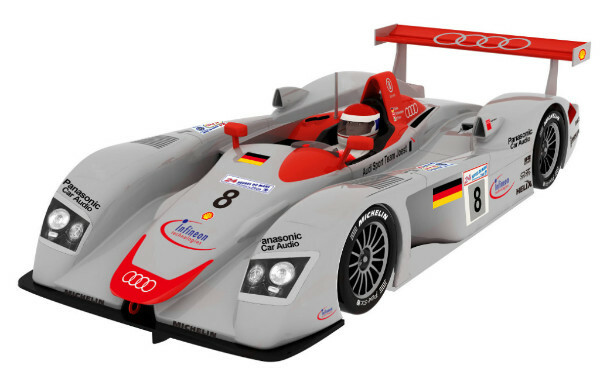 SICW19 Audi R8 LMP 2000 #6 LeMans winner—PRE-ORDER NOW!